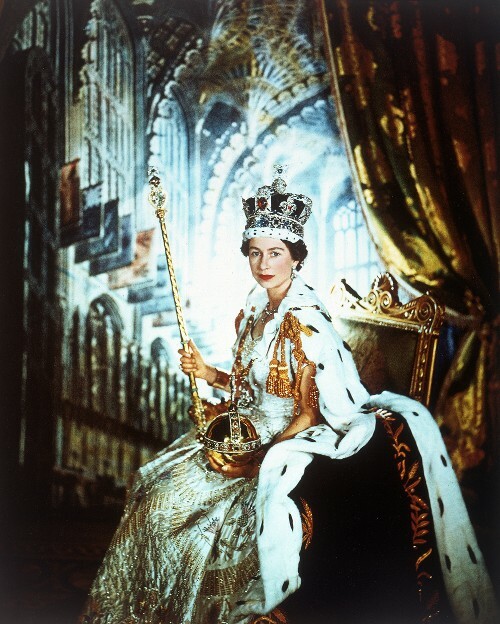 The British Gazette » God Save the Queen. Announcing today is a historic day is superfluous but it is. Yesterday the British People in what is an advisory referendum, ADVISED Her Majesty’s Government to undergo the process of leaving the European Union and therefore cease breaking their Privy Council Oaths whereby No Foreign Prince, Potentate or Power should have Precedence in this land and that they should defend the Queen’s Majesty. They should also ensure that through them, Her Majesty governs us according to Our Laws and Customs and not those of the EU thus enabling Her Majesty to keep her Coronation Oath. Doubtless readers will point to the article of the 19th (http://www.british-gazette.co.uk/2016/06/19/its-over/) and point out that this organ called it wrong and that we were overly pessimistic. We would point out as Labour’s Chuka Umunna did earlier this morning on the BBC that 48% of voters voted remain. 52%/48% is NOT a massive margin and in the difficult days, weeks and months ahead the voters will take the Brexit politicians to task because they are not preventing the turmoil. It would have helped to have had more voters vote leave and they would have done had not Mrs “Jo” Cox been assassinated. What was clear to those of us who either stayed up all night or got up very early was the large number of Labour strongholds voting leave in defiance of the Labour Party’s recommendation that they vote remain. We always knew that the victory was not going to come from the UKIP strongholds of East Anglia but from the Labour heartlands outside London. Extricating this country from the EU will not be easy or quick. It is perfectly clear that the EU elite is desperate to keep the show on the road and will want to discourage the Danes and the Dutch from following the British lead. We see the turmoil on the markets. Sterling has tanked. Which will mean tanking up is now much more expensive. Large firms will make threatening noises about relocating out of the UK. We are in a hole and it one the Leave campaign dug for itself. This is because the campaign took UKIP’s advice and concentrated on immigration. Voters now expect controls on unchecked EU immigration. When this does not happen and when even larger numbers of Poles and other nationalities come here before Brexit actually takes place the voters are not going to be happy – and that is putting it mildly! The stock market has also tanked. The financial markets have tanked because the leave campaign put no exit strategy before the electorate. There is and has been ONE doable practical exit strategy and that is Doctor Richard North’s Flexcit. Whilst is is possible some restriction on free movement might be possible pursuing this Flexcit has to be adopted as the UK cannot practically leave the Single Market in the short to medium term. There is however one FACT we have to bear in mind. Whilst Flexcit is the only practical Brexit solution, UKIP’s policy on focusing on the immigration issue was the only effective means of winning the vote. In other words, we have won by false pretences. Promising something we cannot deliver. That this country was taken into the European Community on a LIE and it will be taken out of the European Union on a LIE. 1. The prospect of lawful sovereign government is on the horizon. 2. This organ promoted Flexcit and counselled against making promises that could not be kept. As to what to expect, we would refer you to out earlier article (http://www.british-gazette.co.uk/2016/06/21/the-poison-chalice/). It will quickly become apparent that Victory is a poison chalice! One more thing: A certain Mr Tim Farron was rather unhappy this morning. He will however feel more cheerful of the coming weeks and months. And yet another thing: Many may be wondering why the country ever ended up in this mess in the first place. It was because UK politicians followed the diktat of Dwight D. Eisenhower, 34th U.S. President and all his successors that the UK should seek, obtain and remain a member of the European Community which became the European Economic Community which became the European Union – because the US political establishment believed it to be in the best interests of the United States of America. If you hand the government of your country over to a foreign power, what do you expect?